Here's a little update on the fabulous chunky gesso frame I bought the other day. One of my sons and I made this frame and actually several other frames, into chalkboards. I love this frames large size and presence- it has tons of character in the gesso details and is so elegant above the french commode in the dining area. 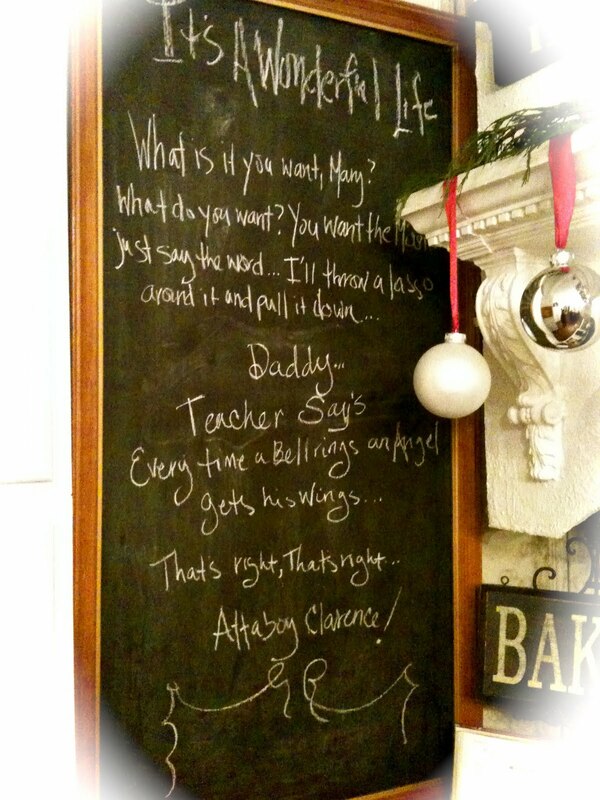 Here's the chalkboard at Christmas. I love the tarnished vintage glam old gold frames have. and love this dainty one for tabletop. 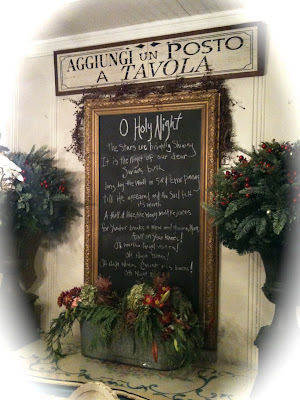 Do you have any old frames you are thinking of making into a chalkboard? I love love love it!!!!!!!!!! It looks fabulous! You did a great job! How's it going, I love the frame, so beautiful, i have several large frames i will have to do that for my own home.. Thanks for the comments! It is me with the Eiffel Tower...In my DREAMS!!!! It's actually courtesy of my mac- you can take a picture with a background behind you while you take it- I am actually sitting in my backyard! So I guess it is like photo shop! Love my mac! That is gorgeous! It looks classy with the gold, and I love the way it looks with the black chalkboard against your white walls. So very happy to have you join in with the Sunday Favorites party, my friend! What a great post to revisit...your chalkboard turned out fabulous! I just love the old gesso frames...they are always so detailed and ornate! We recently recieved several of these old frames filled with family photos...some dated back to 1880...what a treasure! Anyway, I love how your chalkboard turned out...what a great idea!!! Thank you again for sharing your sweet project with us...I loved it! PS...so happy to have you as a follower to my blog! Just fabulous! My favorite is the quote from It's a wonderful life...my favorite Christmas movie. 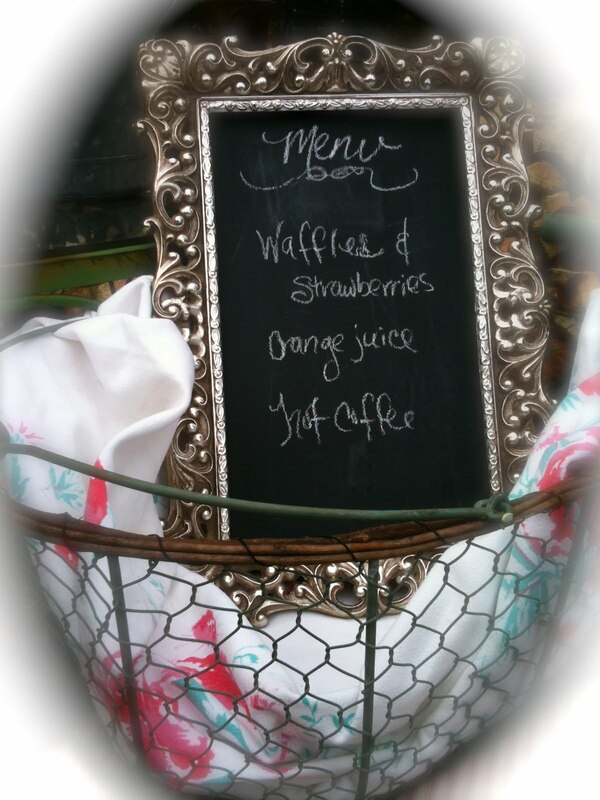 Thanks for linking to the chalkboard party! 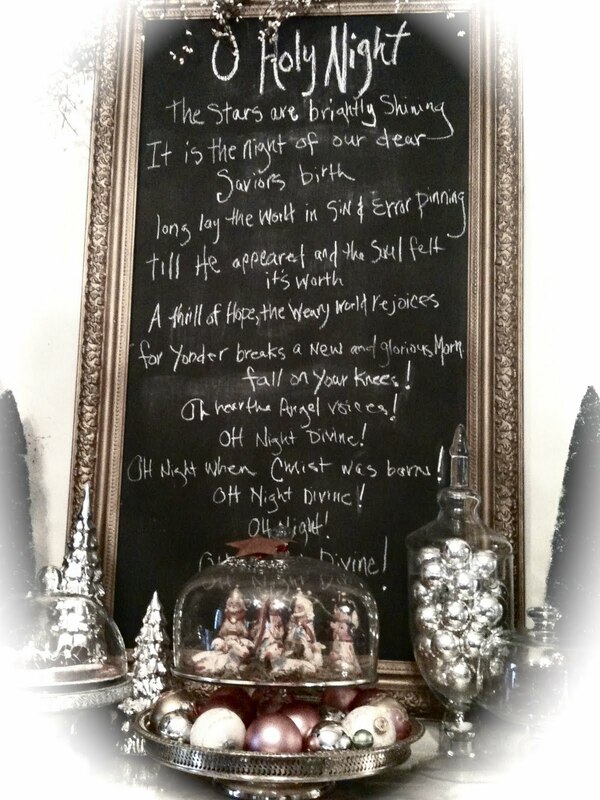 Your chalkboard is gorgeous!! I love that fancy frame!